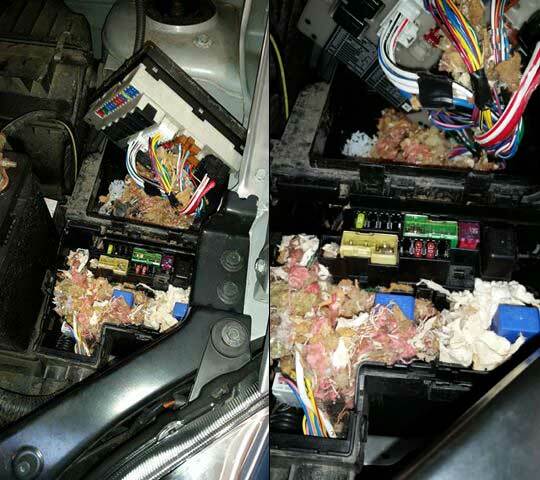 Here’s a mouse nest we found in a customer’s car. This little guy decided to make a home in this customer’s fuse box. After he chewed on some wires the car intermittently would not start. We cleaned out the nest and repaired the wires and now all is good. If you or someone you know has an unwanted tenant living in their car, Leo & Sons can evict them!